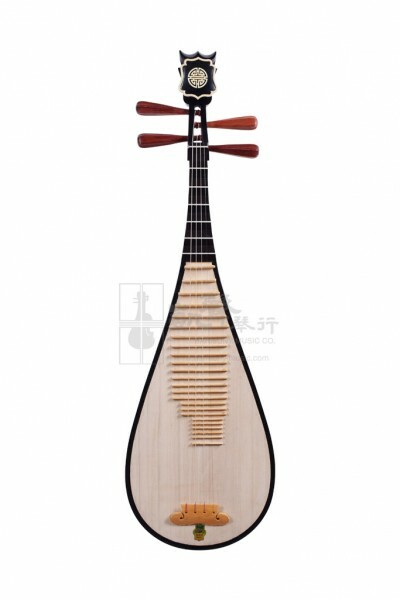 Ideal for the beginning Pipa student searching for a better quality Pipa, this Pipa is made from Paulownia front, Whitewood(白木) back and decorated with Rosewood pegs, by one of the most acclaimed Chinese Musical instruments manufacturers in the world, Shanghai Dunhuang. Whether it is the rapid strumming, or the distinctive plucking of single notes, this Pipa will exceed your expectations for a beginner's instrument. Comes with a Gig Bag, Finger Pick, Adhesive Tape, and a Spare String Set, this Pipa has everything the beginner needs to start mastering the basics of the Pipa.